Consider your Christmas manicures sorted! 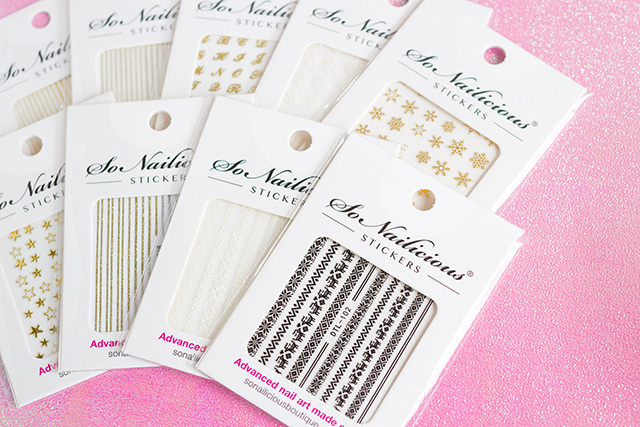 The new SoNailicious Christmas Stickers collection is here! 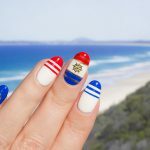 What has started in 2017 as a nail art experiment has grown into a full range of 42 gorgeous nail sticker styles. 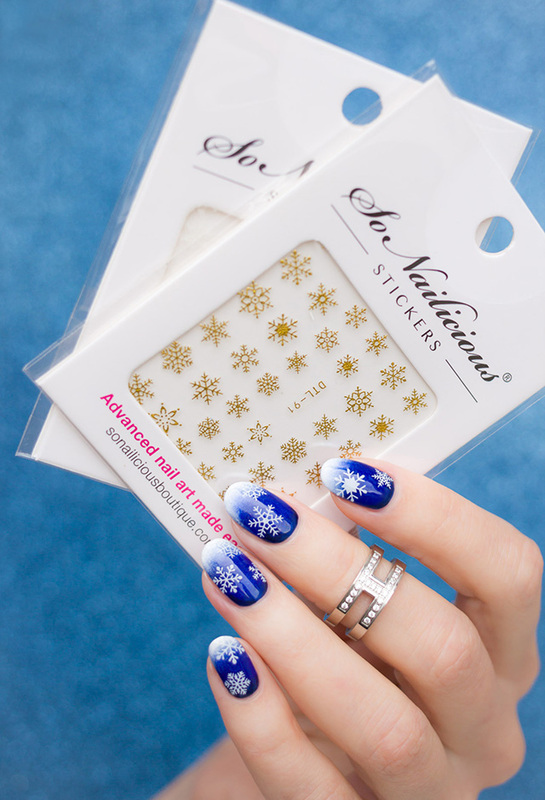 Today our best selling SoNailicious Sticker range is expanding with the new Christmas stickers! The new range includes 6 brand new Christmas themed patterns, including those you asked for – cute Christmas sweater, reindeer, stars and snowflakes! 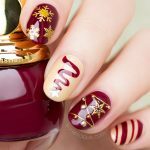 Take a look, this new collection has every style you need to take your Christmas nail art to the next level. 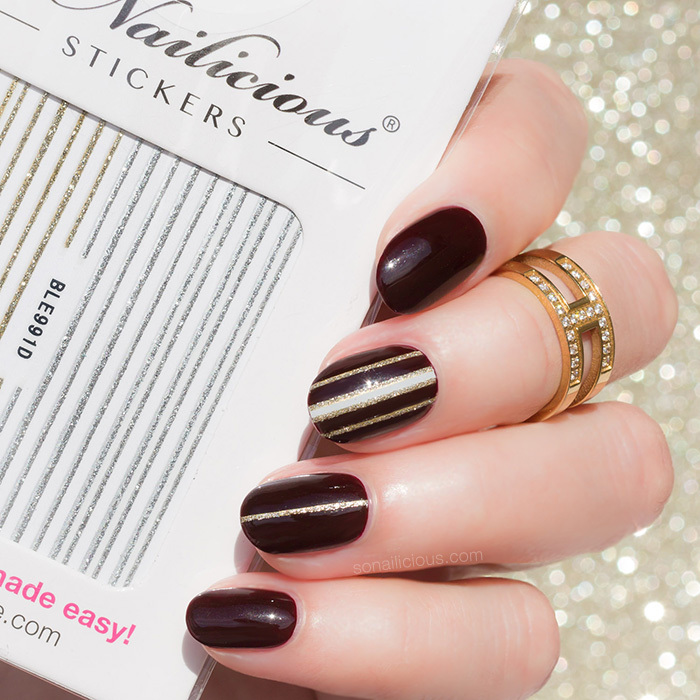 These are the same ultra thin and flexible stickers, but even better non-fading gold foil finish. It took 9 months to develop this collection and I’m very excited for you to see the results of my labour today! 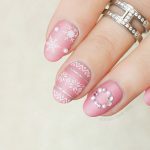 Hope will you enjoy using the new nail stickers as much as I do! 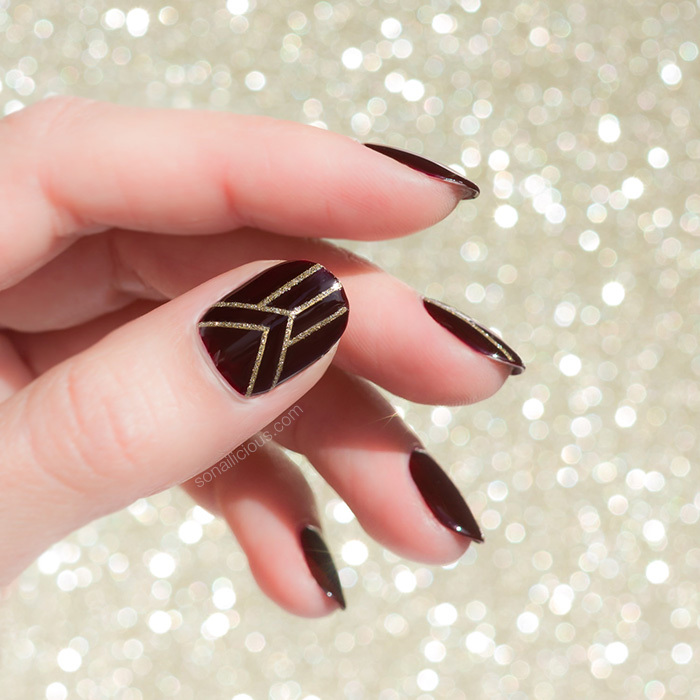 Below you’ll find a few nail art ideas with the new collection…. As you see the possibilities are endless! 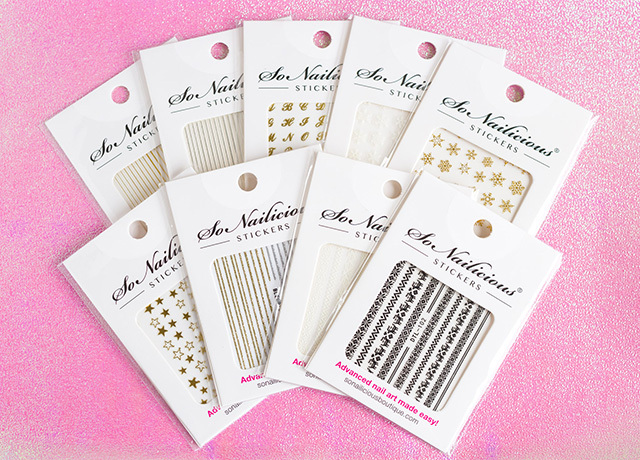 With the new SoNailicious stickers you can create so many advanced designs in minutes. All you need is to paint your nails, wait till they are completely dry, attach stickers and seal it all with a top coat. Done! 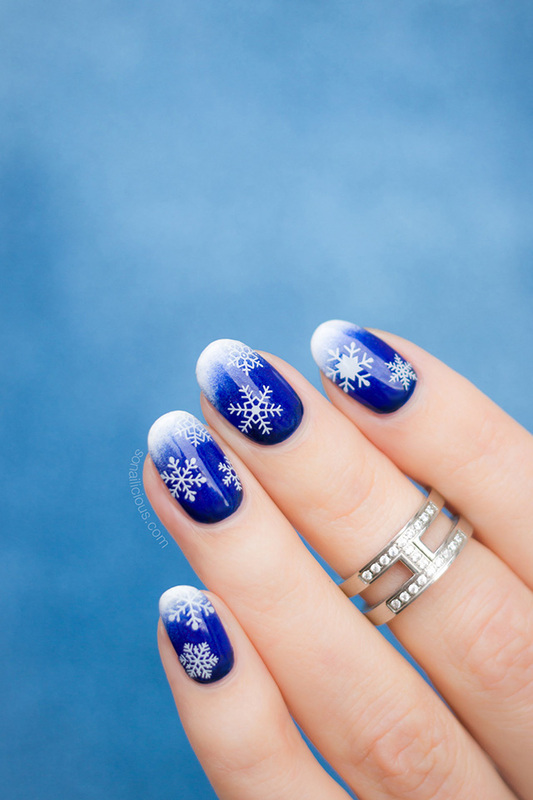 Next week, I’ll showing 2 different nail art tutorials to help you with Christmas designs even more! 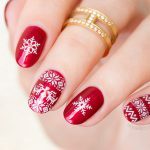 WHERE TO BUY: Christmas nail stickers are available exclusively via SoNailicious Boutique. Treat yourself to the awesome PRO set, 42 sticker sheets, for $89.99 (RRP $179) – save 50%! Thank you once again for the incredible support. 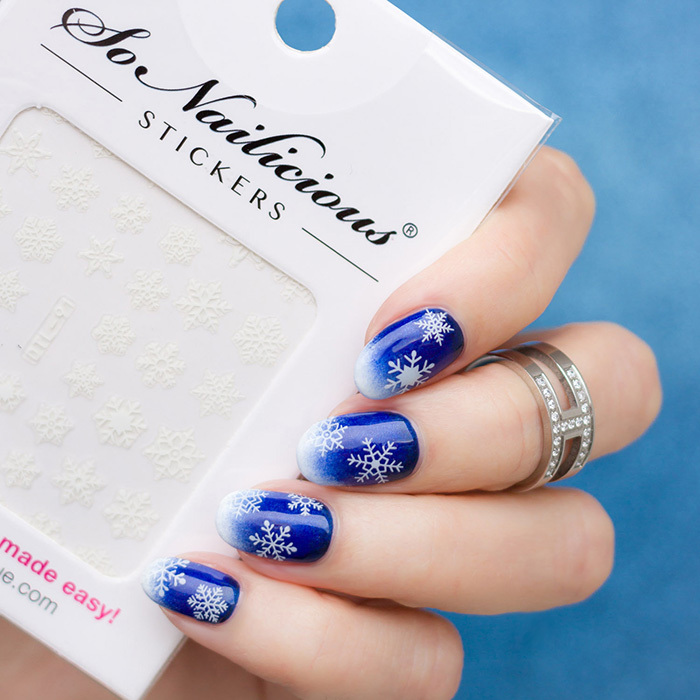 I hope you’ll love the new SoNailicious Christmas stickers as much as I do!